This is a composition that fleshes out a macro, and concept that I use quite a bit. This shows how to use image texturing properties to create an environment, and then how to manipulate the translation of of the texture so that it seems as though the entire environment moves. This technique is useful because it allows a scene to "move" without altering actual X/Y/Z coordinates of "camera" (eg., placing things in a 3D transform, and moving). This composition also illustrates the simple use of a gradient renderer as a lighting effect. I should note, this composition uses mipmapping, so I'm not 100% sure if it will work on GPU's that don't support mipmapping. This is neat thanks for sharing! I found for the sky sphere, Y = 67, Diameter = 140 gives more realism on the perspective. I guess you'd need 2 or 3 layers to get a scroller-game kind of near, mid & far clouds setup. Easy enough using composition as a base comp. The mip-mapping gives a good effect too. I'm sure there are better dimensions that one could choose for "realism", but I kind of just wanted sizes to be fairly straightforward. The GL Structure Render environment can come in handy along with some of these type of setups as well, because you can load multiple sprites with textures, or buildings, and have them loop. An iterator does the same, but sometimes the GL Structure Render can be much quicker. Vote 1 for GL Structure Render patch as 3rd party patch of the year. That's pretty snazzy, but I vote for kinemecore. -Users don't get prompted that anything is wrong when opening a composition with Alpha blend, thus making tons (maybe even the majority?) of my compositions render incorrectly with new GLTools versions. -The work that cwright did to get QuartzBuilder to load GLTools automatically if alpha blend was enabled anywhere, without any GLTools patch being present in the Editor, flew out the window, thus resulting in tons of "oh, this app looks weird... oh yeah, AlphaBlend isn't in it". However, GL Structure Render and the ability to use NSArray backed structures have been of tremendous benefit. Stereoscopic renderer, fustrum patch, and another patch that I propositioned that hasn't been released all mitigate my negative feelings about Alpha Blend being lopped out. Once AlphaBlend was corrected with GLTools for SL with newer versions, I wish it had just stayed that way, because people that had compositions that looks "black" in weird places, had their compositions running fine, and people that used alpha blend as part of GLTools didn't have to worry about qtz's restoring properly. I may have actually sided on the concept of AlphaBlend being it's own plugin because it does make it obvious if someone has it installed or not, but without prompts that something is wrong when opening an older comp, and without auto-loading into QuartzBuilder, it's less than ideal. Hmm when I said 'patch' I meant a patch that appears in the Patch Library not a patch that's a skanky plugin that has all sorts of stuff ; ) Yes, Kineme Core is brilliant and a time saver. The dome Co-ords you set suits (and is typical of) games/environments where one can turn 360 on the XY plane (and mine don't suit that set-up). Making the diameter =>150 clipped the sphere. I'd forgotten QC had dimension limits. Didn't know that about Alpha mode, oh dear I hope that gets sorted before I ever try shipping QC Apps. Just a question about this wonderful composition. 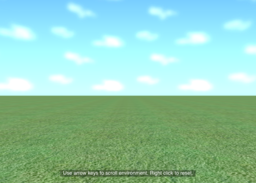 When I put a Syphon server patch, sky and land disappear ? I can confirm that there is "some issue" with Syphon and certain QC renderer patches "losing" their textures. For example, if one attempts to record textured point sprites (like, from qc's mesh creator), when one turns on Syphon, the textures disappear, if one is using "capture openGL scene". I've been lazy and haven't mentioned it, but reading this makes me realize that the issue extends beyond just texturing with the QCMesh system (which is honestly FUNKY; I thought it was likely a bug with it, not Syphon). This is showing otherwise, maybe. There's a chance you could stuff all of the rendering patches into a Render In Image patch, with a clear patch at layer 1, and use Syphon's image input instead. Vade, if you happen to flip by here before I make it your way, I can pretty easily duplicate the problem issue by taking any patch where the mesh creator is rendering textured points, and turning on OpenGL screen capture with Syphon. It sounds like the user above can replicate it using sprites and image texturing properties (which is what my example comp consists of).